plus 170 skits and puppet skits. Welcome to Fishers of Kids. 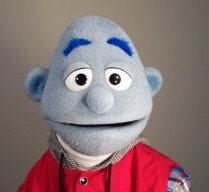 In this website, you will find curriculum, skits, puppet skits, stories, object lessons and lots of hints for your children's church. Whether you have a large children's church, or a small children's church, you will find the material suited to your needs. Fishers of Kids has no brochures or samples to mail out. If you would like to take "Fishers of Kids" curriculum to your church board to review, simply download the first quarter for free. If you like it, then keep it and download the entire curriculum. If not, simply delete the curriculum. Some of the subjects we teach on are: Salvation through Christ, Living a Christian life, Faith in God, Love, Forgiveness, Reading the Bible, Prayer, Witnessing, the Fruit of the Spirit, a two month period on the Ten Commandments, and more. You can either download the curriculum to your computer, or view the curriculum on-line. "A Dream, without actions to that Dream, will always and only be just a dream."